FAA eFAST – Tantus Technologies, Inc.
eFAST is the FAA’s preferred acquisition vehicle for fulfilling small business goals. 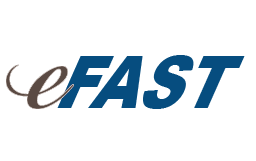 While eFAST is an agency-wide acquisition vehicle, it can also be used by other Federal agencies when in the best interest of the government. The vehicle offers multiple contract terms, including Fixed-Price, Cost Reimbursable, Time-and-Materials, and Labor Hour. eFAST is a multi-year Master Ordering Agreement program offering a wide array of labor categories with fixed ceiling rates. Tantus was awarded the following Functional Areas under eFAST: Business Administration & Management (BAM), Computer/Information Systems Development (CSD), Computer Systems Support (CSS), and Documentation & Training (D&T). Satisfies Small Business and 8(a) requirements. Low access fee of 1%. Multiple contract types and performance based solutions available. Direct awards to 8(a) companies up to $3.5M. One-stop shopping – full service procurement services available (additional fee).